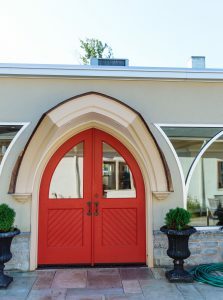 The Mission of St. Paul’s Episcopal Church, Exton, is to create many doors by which people are invited to enter the Church and to exercise hospitality by welcoming all persons who seek a closer relationship with the sacred: those who have much faith and those who have little; those who have tried to live their faith and those who have struggled. Our vision at St. Paul’s is that worshiping is fun. It puts a smile on your face and a skip to your walk without using guilt as a means of interacting with the sacred. 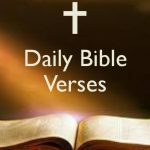 Where and When does the Vestry Meet? The Vestry is the elected lay body within the congregation that, with the clergy, leads the administration of the parish. The Vestry meets the second Monday of every month at 7:00 p.m. in the Shreiner Conference Room in the Lockwood-Reilly building. ALL are welcome to attend Vestry meetings and may be granted voice to express comments or concerns for consideration by the Rector and Vestry. The only exception to attendance at a Vestry meeting is Executive Session (discussion and votes on extremely sensitive or confidential matters). During Executive Sessions, only the clergy and Vestry members may be in attendance. Executive Sessions are rare and will be announced and held either at the beginning or the end of general Vestry meetings. The Wardens are selected from members of the Vestry. The Rector, while not a member of Vestry, serves as the presiding officer at the Vestry meetings and works closely with the Vestry in shaping and implementing the parish vision. The community responded by raising $1,901.75 ½ toward the erection of the new house of worship. Persons from many denominations made contributions with ¾ of the subscribers of the total amount raised coming from Quakers. 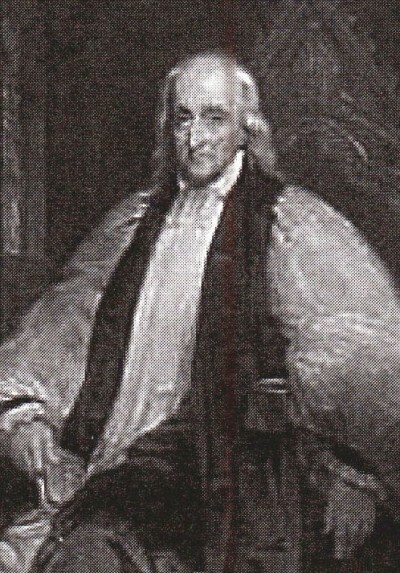 On May 28, 1829, the Church was consecrated by Bishop William White, the first Bishop of Pennsylvania and a founding father of the Episcopal Church in the United States. Originally, the congregation faced south, the opposite direction from today. Paul was chosen as the patron saint for this new congregation. The decision seemed most fitting as Paul carried the Good News of God in Christ to the known world of his time. The Good News found a new home in West Whiteland. In the 1840’s, there were many new strides, which brought growth and enrichment to St. Paul’s Church. The women of the Church contributed a great deal financially toward improvements and repairs. There has been constancy in this throughout St. Paul’s history. 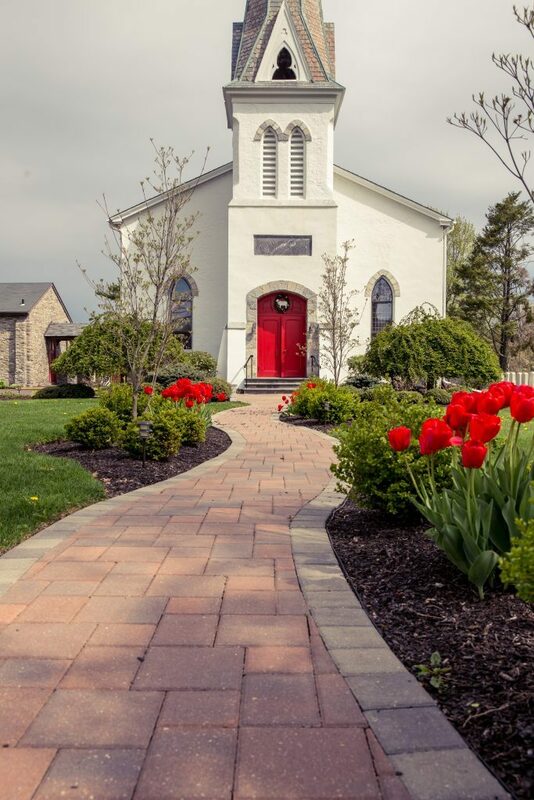 The church of the antebellum era, in rural Chester County, was first a place of worship, a place where baptisms, confirmations, weddings, and funerals were held, but it was also a place of social gatherings for the wider community. St. Paul’s also has a rich tradition of concerns about social issues beyond the Parish. In the years preceding the Civil War parishioners struggled with their interpretations of the Christians virtues of obedience to authority, compassion for the less fortunate, and the dignity of all human beings. The Chester Valley had been in considerable turmoil over the issue of slavery for years before the war began, due to the very active Underground Railroad station at Exton. Parishioners were deeply involved in disobeying the Fugitive Slave law. 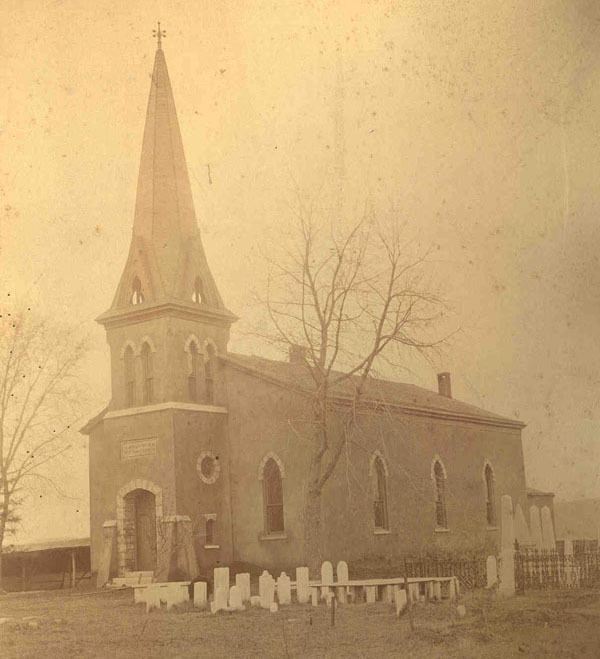 On October 1, 1871, the Vestry closed the church for major repairs. Nothing remains of the original building today but the walls and roof. The repairs completely changed the interior, adding a receding Chancel and robing room at the north end, an organ gallery and expanding the seating to 250. A triplet window was placed in the north wall and a tower with an 85-foot spire was erected at the south side of the building. The church reopened in December 1872. In the fall of 1912, the Parish Hall was erected and quickly became a community center, proving great value as a neighborhood house for gatherings. The year 1918 was an important year in the life of St. Paul’s, when the Church Farm School purchased land adjoining the church. That summer, under the leadership of the Reverend Dr. Charles Shreiner, thirty five boys from the Church of the Atonement, Philadelphia, together with a group of Girl Scouts who were housed in St. Paul’s Parish Hall, worked at the farm, raising food to help the food crisis of World War I. Meals were served in the basement of the Parish Hall. For many years, the students and parishioners worshiped together. 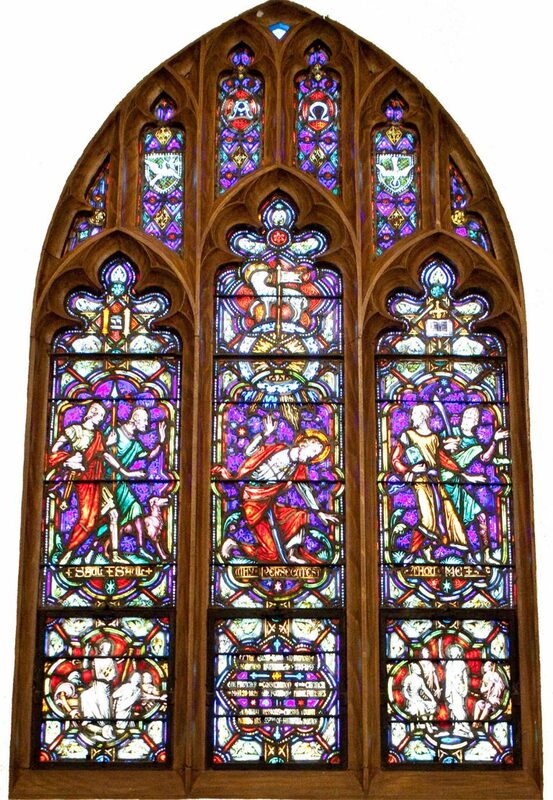 In 1928 the triplet front window was given to the church to celebrate it’s 100 year anniversary! As the parish family increased in membership, the Lockwood-Reilly Building was erected just north of the Parish Hall in 1981. The Rector’s office, the church office, and our Sunday school rooms are located in this building. In 1984, St. Paul’s was placed on the National Historical Landmark Registry, in recognition of the historical significance of the church. The interior of the church underwent major renovations during the summer of 2002. The exterior was repaired and repainted at the same time. A new large cross now hangs in the Sanctuary, replacing the candle chandelier, which had been in place for several generations. In the fall of 1912, the Parish Hall was erected and quickly became a community center, proving great value as a neighborhood house for gatherings. The year 1918 was an important year in the life of St. Paul’s, when the Church Farm School purchased land adjoining the church. That summer, under the leadership of the Reverend Dr. Charles Shreiner, thirty-five boys from the Church of the Atonement, Philadelphia, together with a group of Girl Scouts who were housed in St. Paul’s Parish Hall, worked at the farm, raising food to help the food crisis of World War I. Meals were served in the basement of the Parish Hall. For many years, the students and parishioners worshiped together. Then in September 1963, the Church Farm School began worshiping in their own chapel on the school’s campus. Our Bell ceremony will be held on Sunday November 11. The bell in the St. Paul’s church steeple was installed on November 11, 1918, to commemorate the World Armistice on the same day. The bell at St. Paul’s was silent for several years. However, after restoration, it is ringing again! The inscription below shows a symbol for the bell maker, which is most likely the McShane Bell Foundry Company’s logo. The company was founded in 1856 and is still in business today. MC SHANE BELL FOUNDRY CO. 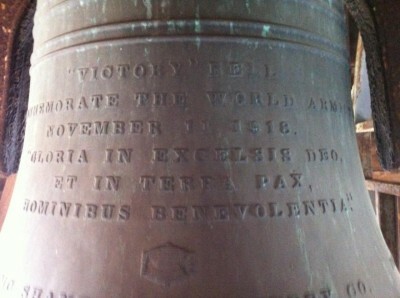 The reverse side of the bell contains a list of names. P. ASPARAGUS, J. CLARK, A. JOHNSON, J.V. NEWLIN. E.D. ATLEE, N. CLARK, H.A.W. KATES, C.F. POWELL. F. ATLEE, H. CUFF, C.S. KATES, 3RD. H.C. PREVOST. W.S. BAKER, P.B. DAGUE, R. KIRK, J. PRICE. G. BALDWIN, W. G. EDGE, A. B. LEWIS, H. PRICE. O.P. BEEMAN, M. EDWARDS, J.F. LEWIS, JR. B. RUSH, JR.
T.C. BROGAN, H. GOODING, M. LIVINGSTON, JR. R.K. STANFORD. G.G. CHANDLER, S.W. GOODING, W.R. MAULL, J.R. THOMAS. MARY ASHBRIDGE CHASE, M.F. HAPPERSETT, R.S. MCCAULEY, F. TROST, H.C. WARNER. E. CLARK, S.C. HAPPERSETT, D. MCILVAINE, H. WESLEY, R.C. WOOD. W.D. BAILEY A.H. HARDART C. REESE. Both the inscription on the front and the names on the back are cast into the bell and are raised characters. The block of names above the line are all separated by commas, except for the three that end in the abbreviations (JR. and 3RD. ), with each line ending in a period. The three names below the line are different from the rest and are separated by spaces, but the line still ends with a period. The last three are on the upper of two bands at the bottom of the bell that are separated from the main body of the bell by cast channels. 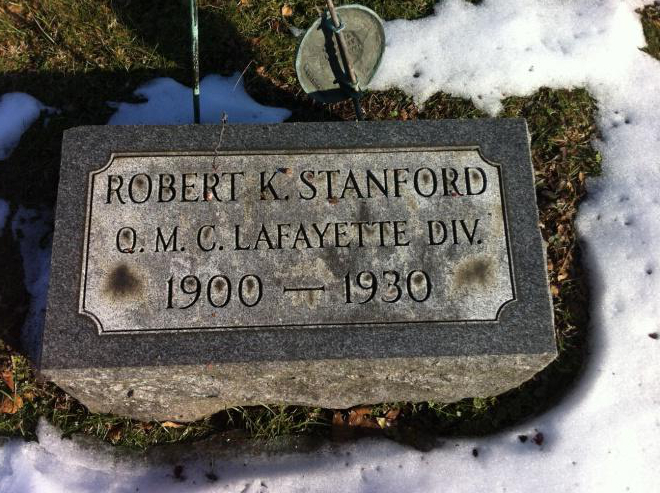 At least two of the names on the bell match gravestones in the St. Paul’s Cemetery. 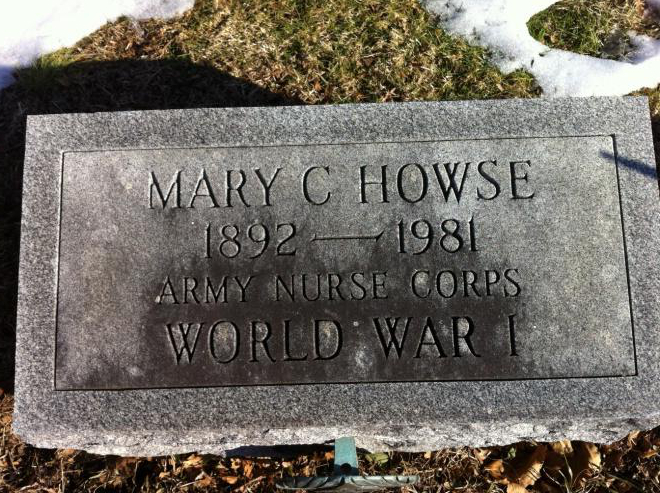 Both of them, Mary Ashbridge Chase (Howse) and R.K. Stanford, show that they served in the military in World War I and survived the war. The current assumption is that the names above the line are those who served in the Great War and survived, while those below the line perhaps did not survive the war. Several major repairs and changes have been made over the last 9 years – a new heat and air conditioning system for the church, an overhaul to our organ, weather-safe windows in the church, a speaker system, a new church roof, the O’Connell Terrace, the Walkway, the Lych Gate and our Community Garden. 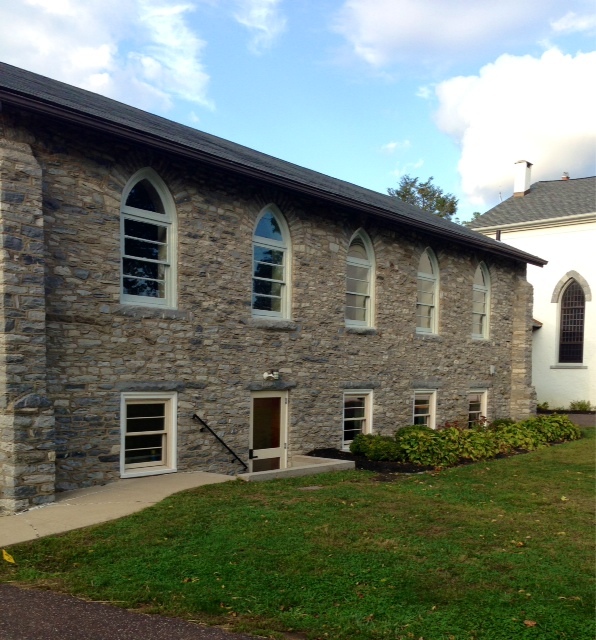 In 2014 a major renovation took place that has transformed the old Parish Hall building into Getman Hall. 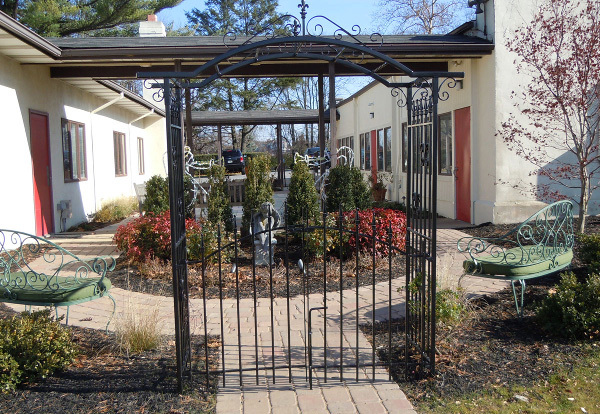 Everything was updated, new restrooms, a state of the art kitchen, beautiful banquet and meeting rooms. 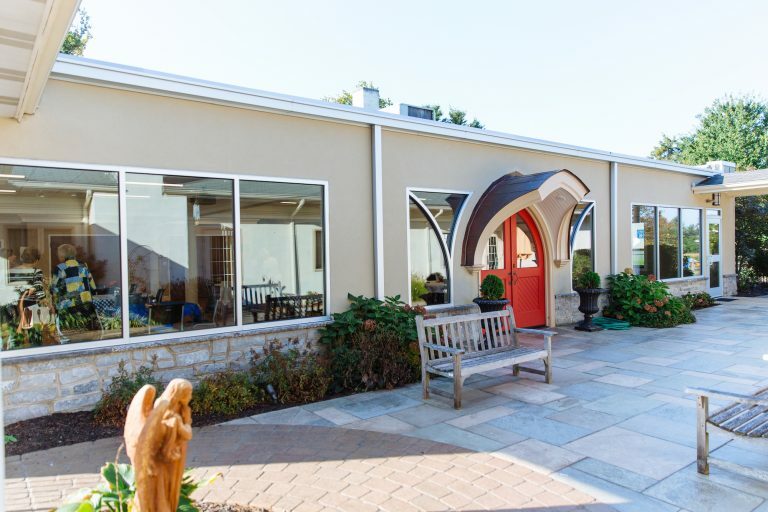 Getman Hall serves not only as a meeting place for St. Paul’s events but also as a meeting place for the larger community. For more information about Getman Hall, please click on the link below. The Lychgate is located at the old entrance to St. Paul’s. In colonial times through to the mid 1900s, the Lychgate was the place where the unclean would stop and wait until the priest arrived to bless them. In the Judeo–Christian tradition a dead body was considered unclean or unholy. So the pall bearers would carry the body to the Lychgate there priest would greet the pall bearers and mourners. 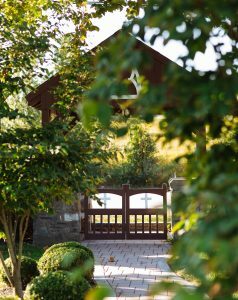 It is under this Lychgate that the priest conducted the first part of the funeral service under its temporary shelter. Once the body was blessed, it could enter upon hallowed or blessed ground. Generally, the ground outside a church is not considered sacred. But, when the church in constructed in or next to a cemetery then the ground in and around the Church has been consecrated. So, it is with St. Paul’s, immediately beyond the East wall is the 200-year-old cemetery. This combination circumstances demonstrates the significance of the Lychgate to not only the orthodox Christian but to the historical authenticity of church structure. 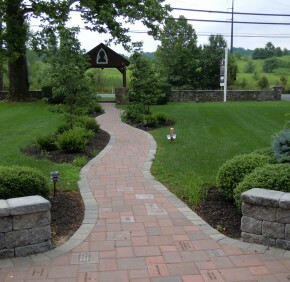 We continue to restore the beautiful walkway that leads to the front of the church. Pavers (bricks) are engraved with names and remembrances. At present, there are three sizes available: 9 x 9; 6 x 9; and 6 x 6. The 9 x 9 paver has five lines of text, with 18 characters per line. The 6 x 9 has four lines of text, with 18 characters per line. The 6 x 6 has 2 lines of text, with 10-12 characters per line. Donations: $300 for a 9 x 9, $200 for a 6 x 9, and $100 for a 6 x 6. Please contact the church office if you would like to purchase a paver.